Digital strategies are crucial to reaching business goals in the online market. Are you trying to beat your rivals in the business market without any clear solution? If this is the case, then Digital Arm can help you. Adopting some strategic planning is necessary to reach any business goal through your website online, and your web strategy must be easy to maintain and follow to keep you at the top of your game. We have experienced and talented professional consultants who will guide you through planning better web strategy to beat your competitors. After identifying your needs and budget, our expert team will start analysing the best digital and web strategies for your company. 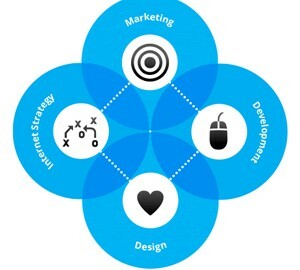 What web strategies can be adopted? Do you need a web strategy? The web strategies and consulting services we provide, aim for the betterment of your company. Let us know your business plans and we could help you in either suggesting or making the need-to-do list to grow your business online.